I like the quality of the Cepstral voices. I wanted to test them in a personal project of reading on-line newspapers to WAV files to listen to in my car during commutes. I have written a program in VB6 using SAPI5 to do this and it works with all of the default Microsoft voices. 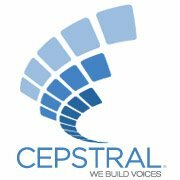 I downloaded a couple of the Cepstral voices to test with it, but none of them have worked. I receive an error of "Invalid procedure call or argument" when I try to use them. Is this something that would be changed with the licensed versions? Could you let us know exactly what voice you downloaded (including the version 5.1, 6..?). Also, could you let us know what SAPI call you are trying to make? Thank you! I just want to chime in here that our voices are SAPI 5.4 compatible. The compatibility doesn't depend on licensing, i.e. our demo voice is fully functional except you will occasionally here a message reminding you to purchase a license. Some VB programers have had trouble getting voices to work, but others have had no trouble at all. Like Chris said, we would need more information to assist you, though we don't have any VB programmers in house, so appealing to the Cepstral community is a great idea. I'm glad you posted here.